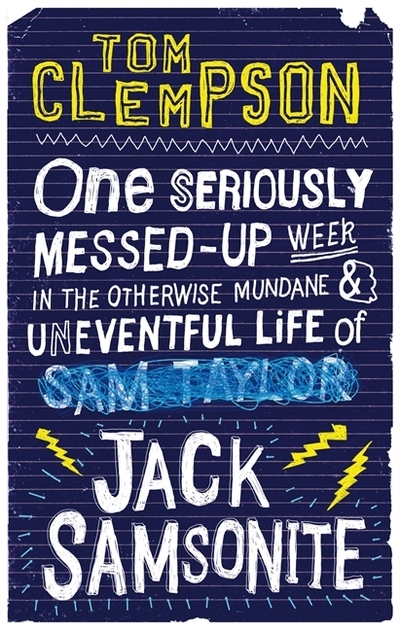 Introducing: Jack Samsonite, a nearly-16 British teenager. His mission: to pass his GCSEs, pull the girl of his dreams, and not get beaten up. Wish him luck. Diary-style novels are always hard to review. Always. Take a look at the other reviews I have made of books like Spud and Adrian Mole – they’re short. It’s very hard to comment on a diary, for me at least. So I shall do my best with One Seriously Messed Up Week in the Otherwise Mundane and Uneventful Life of Jack Samsonite, hereafter referred to One Seriously Messed Up Week! But the most exciting thing about One Seriously Messed Up Week is the comedy. Tom Clempson doesn’t bother with waiting a while before unleashing all hell of self-deprecating humour (or in this case, character-deprecating) and crude jokes. Hell, the first line starts with “nob ache”, much to the delight of my English class (we’re all boys…). Never before has the male weakness been approached in such a direct way! 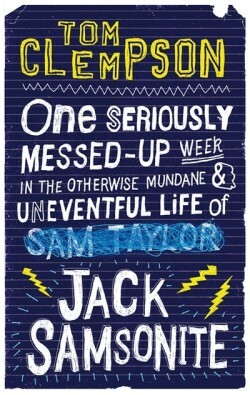 What did you think about One Seriously Messed Up Week in the Otherwise Mundane and Uneventful Life of Jack Samsonite?